This report addresses specifics of wireless communications and localization technologies that support first responders operations inside of enclosures such as buildings, tunnels and similar structures. It also addresses related industries, applicable standards and markets. Increasingly, public safety entities, commercial wireless service providers, and wireless users require reliable indoor communications. For public safety, reliable coverage is often essential throughout a broad jurisdiction, including coverage on-street, in-building, and in-tunnel. In such cases, there is no substitute for a properly designed dedicated mission-critical communications system with sufficient transmit sites to provide the level of signal required for reliable coverage anywhere within the jurisdiction, whether on-street or indoors. Indoor wireless communications environments usually do not allow using traditional PSC (Public Safety Communications) networking based on TETRA, P25 or LTE. Building materials attenuate signals and this makes communications unreadable. Localization based on GPS techniques is becoming also questionable due to weak satellite signals inside of a construction. DAS – Distributed Antenna Systems. Small Cells base stations are small in size, lightweight and designed to serve up to several tens of users. They may be conveniently spread throughout a building, covering each corridor, hall, corners and so on. The technology relatively recently became commercialized and brought multiple benefits to users. DAS is used for in-building signals distributions for at least twenty years. The report concentrates on advances in this technology, its specifics and issues. Standard organizations activities, the in-depth market analysis and survey of the industry are also studied in this report. There are multiple methods suggested for in-building localization of first responders as well as other people or objects in the operational area. They are based on utilization of sensors, RF signatures in a building, amplification of GPS signals and other. The report concentrates on commercialized methods, and provides details of their advantages and issues. The report also addresses marketing aspects of in-building localization; and surveys patents related to indoor localization. 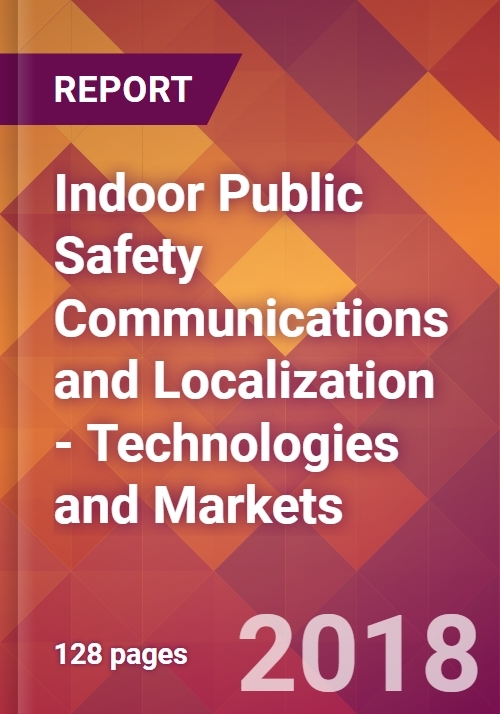 The report is written for a wide audience of technical and managerial staff involved in the development of reliable PSC and localization inside buildings and other enclosures.